As your child grows and develops, care needs often evolve, too. 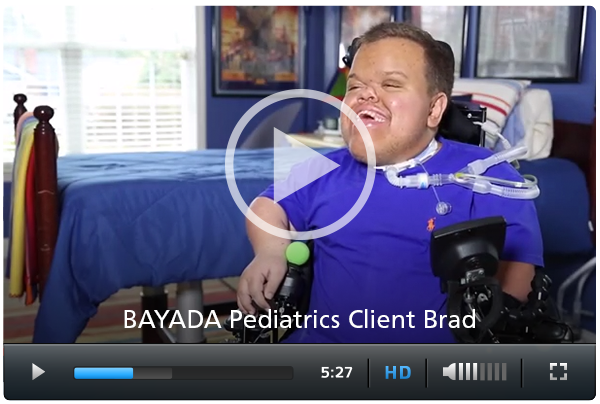 We believe continuity of care is best for any child and as part of a comprehensive home health care company, BAYADA Pediatrics is able to seamlessly transition your child from pediatric to link opens in new windowadult care services. Working closely with our BAYADA Home Health Care adult offices, your child’s care team can ensure that your child’s adolescence to adulthood transition is smooth and successful. We can even help you navigate changing insurances, physicians, and community supports. For true consistency, all of the employees currently providing care to your child are given the opportunity to transition with your child, so that there’s no disruption to the home care services. You and your child can remain with the caregivers who understand your child’s needs best, and who have come to know your family over the years.